Made with love. 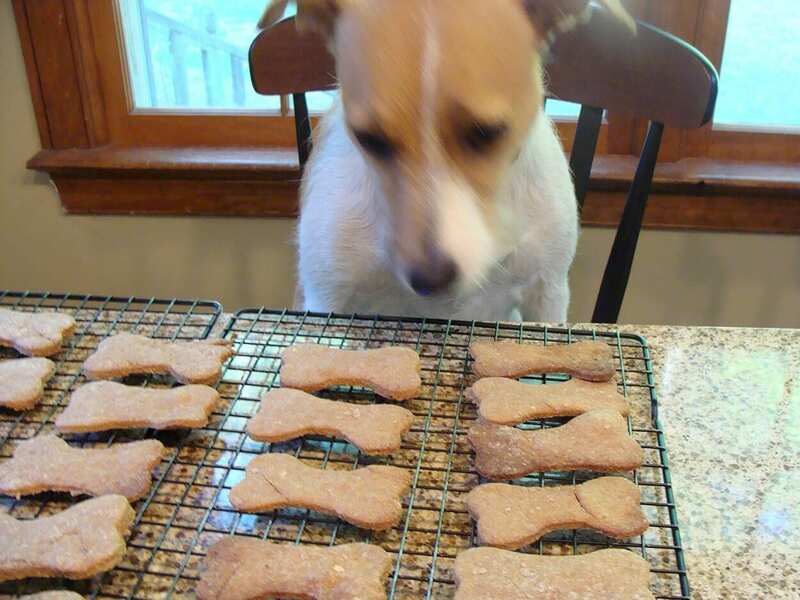 All-natural recipes for doggie treats. What’s wrong with the stuff you can buy at the store? Dog owners everywhere! It’s totally fine that you’re feeding your furry companions generic popular-brand food. Heck, if you could see my ‘doggy cupboard’ you would bare witness to just how much of a treat-hoarder I am. IN THE NAME OF MY DOG YES. However, upon discovering not too long ago just how nasty a lot of the ingredients are, I swiftly changed to a healthier alternative. 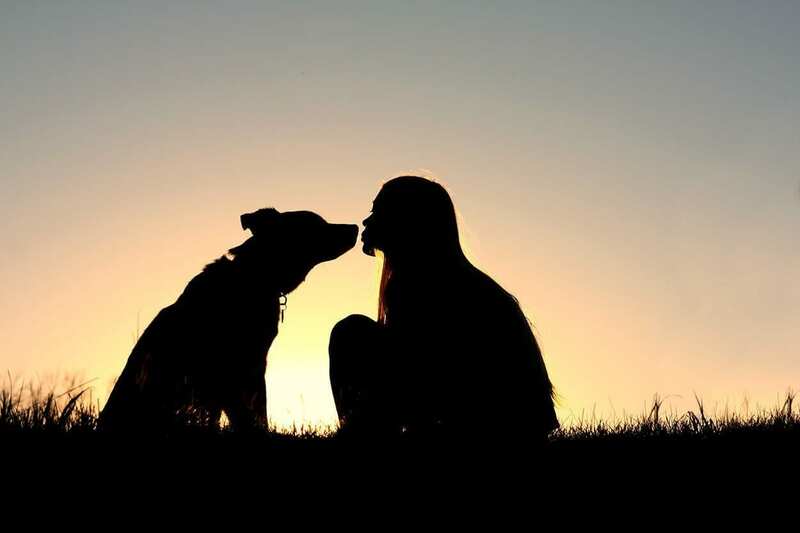 Read the labels of the dog food you give to your pet. When buying kibble, ensure you pick the most natural brand. Natural Choice or Acana are good brands. They are more expensive, but honestly, it’s worth it. Pick a day in the week to cook a whole chicken and boil some rice. Ration it over the five days, and then change it up on the weekend. 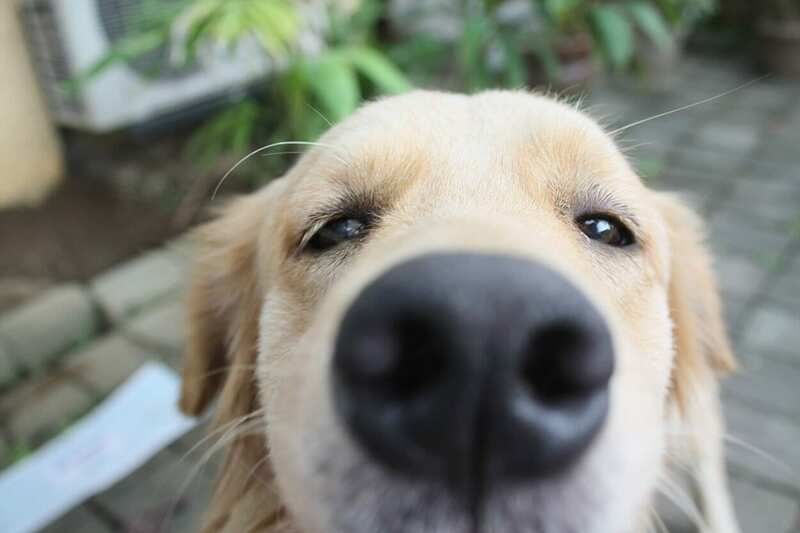 This gives your dog’s digestive system a nice reboot, and you’ll be proud of yourself for making the effort. 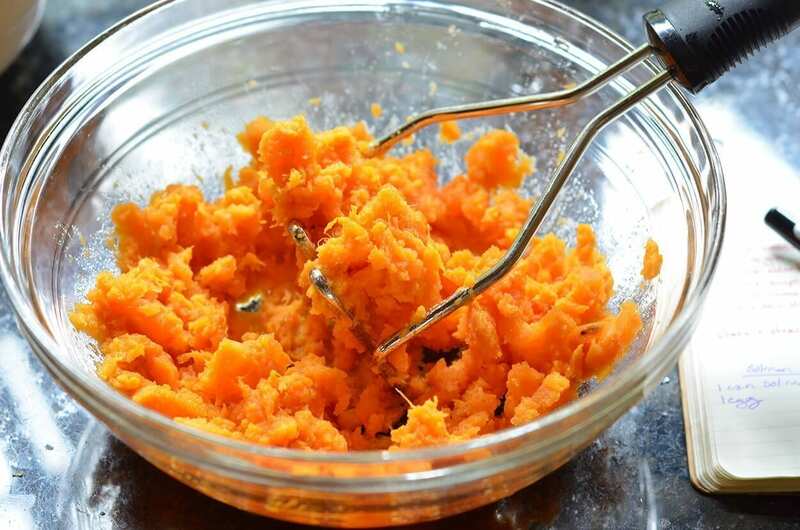 Vitamin-rich, fiber-rich pumpkin treat recipe that doggies never turn down! Pumpkin is a safe choice for those with sensitive stomachs as well. Preheat oven to 350º F and lightly grease muffin tin with coconut oil. Place oats and all remaining ingredients in a large bowl and stir until mixed. Fill muffin tins 2/3 full with batter. 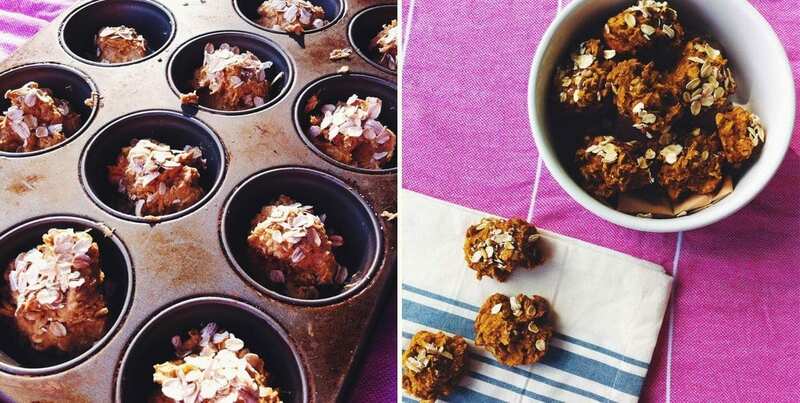 Sprinkle oatmeal on top of each muffin for some extra crunch. Bake for 15 mins or until tops are golden brown. Line a baking tray with a parchment paper. In a large bowl mix all ingredients together, kneading well after each addition. Once dough is well mixed, roll into 1/2 inch balls and place 2 inches apart on the baking tray. Flatten with flour dusted back of spoon or bottom of a glass. Bake for 15 minutes or until browned at edges. Mix all ingredients together in a bowl using hands. Grease a cookie sheet and smash the dough onto the sheet. 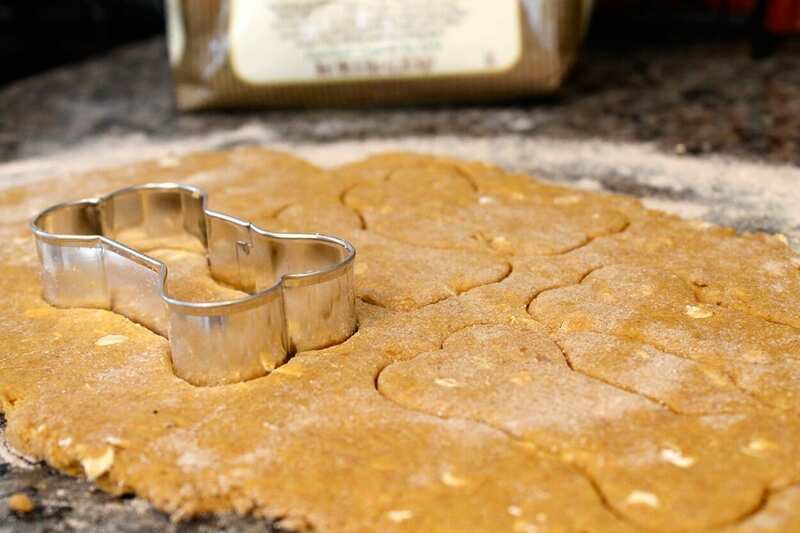 Cut the dough into desired shapes before baking. Bake for 20 minutes at 350ºF. Cool, break apart and serve! Finely dice the spinach and California mix vegetables. Stir the yogurt and applesauce into the veggie mixture. Add the flour into the vegetable mix about ⅓ at a time. Stir after each addition. Knead the dough in the bowl until a firm ball is achieved. Fold out onto a floured surface and roll out to ½ -inch thick. 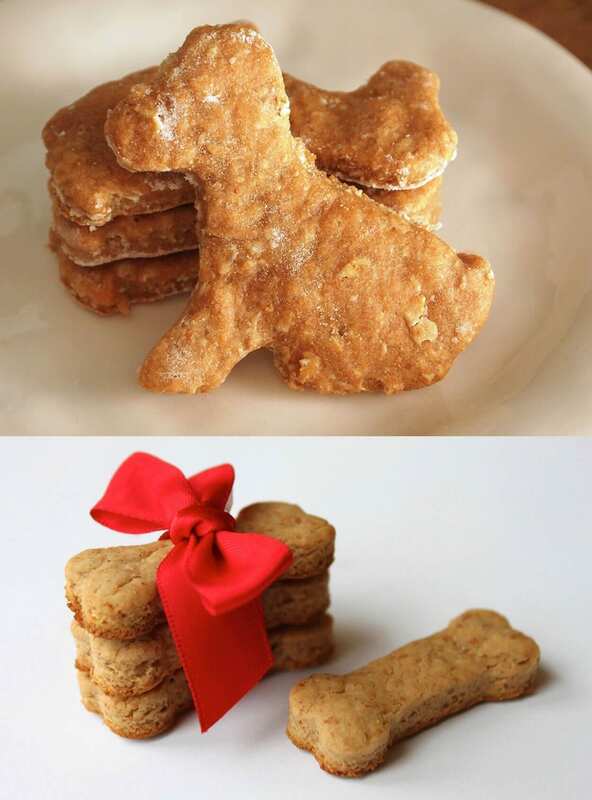 Cut treats into shapes with a cookie cutter and place on greased baking sheet. In a small bowl, combine the yogurt and water. Using a pastry brush, lightly brush the cut-outs with the yogurt and water. All of these delicious treats will last for about 1 week in the refrigerator. They will be good for up to 6 months in the freezer. Happy baking! If you are interested in Nutrition, the School of Natural Health Sciences offers a foundation course. There are also over 50 different holistic therapy courses to discover, including Child and Adolescent Nutrition and Sports Nutrition. In conjunction, these qualifications can change your world and that of others. Check out the courses on offer here.